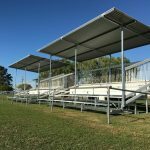 This project includes two standard Steel Post & Rail 5 tier Grandstand’s each accompanied by a Skillion Roof Shade Structure, which bolts directly to the sub-frame to allow the complete unit to be mobile and portable. 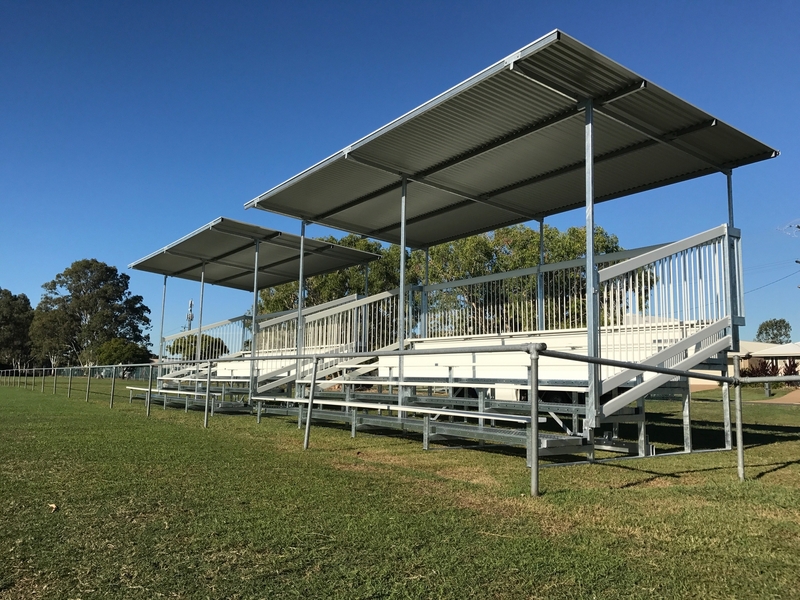 These were made using Steel Post & Rail’s standard, proven design, including all hot dip galvanised steelwork for optimal longevity. 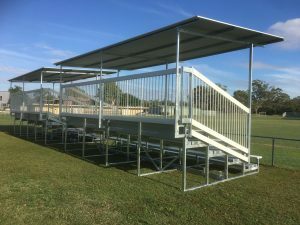 The finished Grandstand provides comfortable spectator seating for sports days and other school events with spectators being fully protected from the elements utilising the Skillion Roof shade structure. All Steel Post & Rail Grandstands have the option of being paired with a Mobility Kit for ease of movement around your facilities, from field to field. 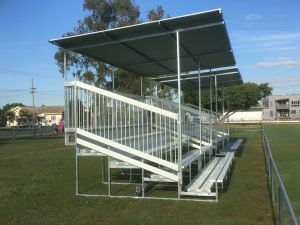 The mobility kit includes a connection coupling to hitch the entire unit to your vehicle for relocation or storage. 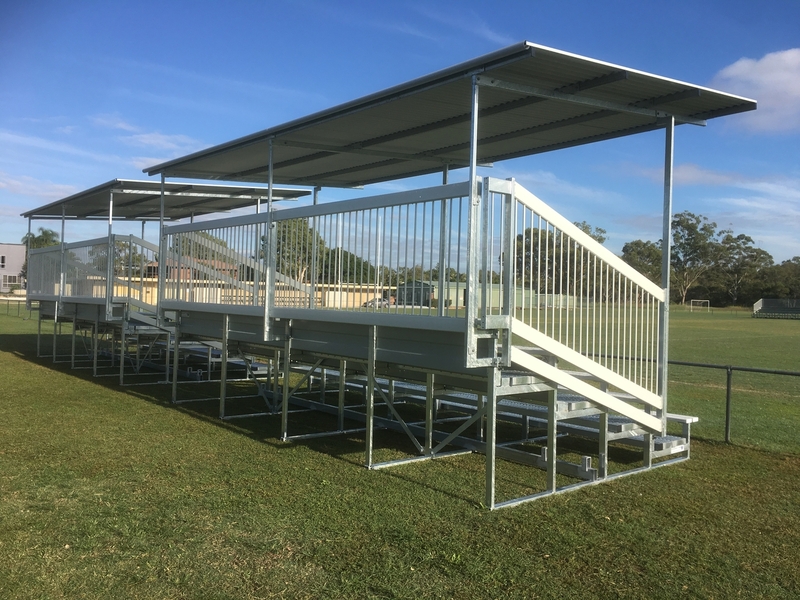 All Steel Post & Rail products are 100% Australian manufactured using only Australian-made steel. 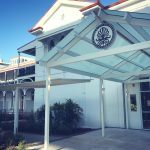 Our standard designs use steel framing, which is hot dip galvanised after fabrication, rather than using off-the-shelf pre-galvanised steel. 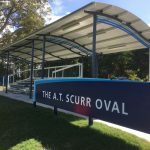 For the same price, our customers get a greater durability and better looking finished product, with peace of mind that it is also 100% Australian made. 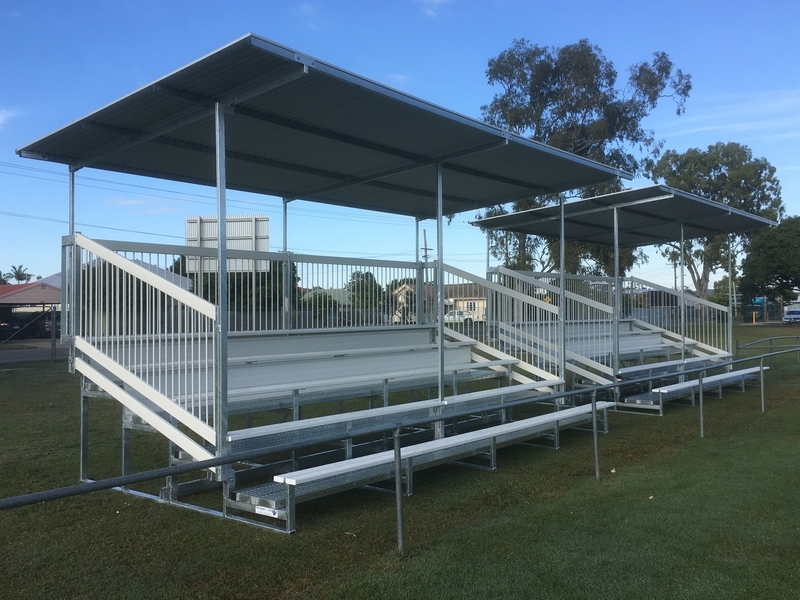 Mounted directly onto Grandstands Unit, in order to be mobile along with the Grandstand. Can you please give me an idea of cost and would you construct for installation in Victoria? Can call me on 0427 148488. Planning to apply for a sunsmart grant so appreciate you getting back to me soon.